The Event Shelter by Coleman is a 3.5m x 3.5m (12ft x 12ft) gazebo that is suitable for any event you may be having and require a portable shelter. No matter the event, this shelter will keep you and your guests covered in the shade, away from the sun or even some cover from light rain! 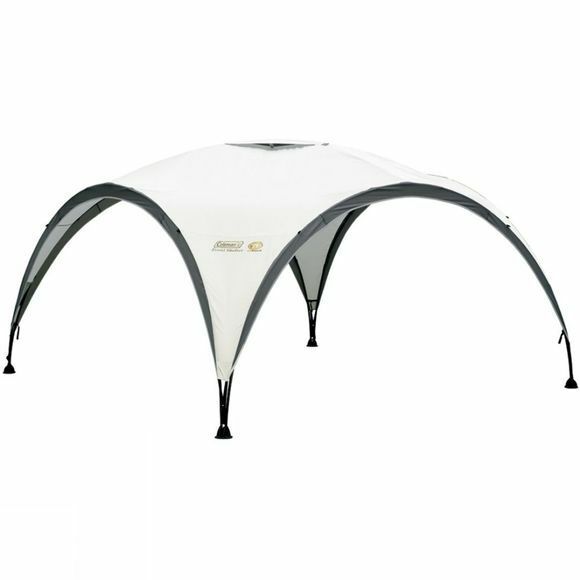 This event shelter can also be used in conjunction with other event shelter accessories such as the Coleman Sunwall and Shelter door. Extend your time outdoors with this event shelter and spend longer enjoying the weather in the comfort of cover in your garden. Not the right size shelter for your next outdoor event? Explore our great range of Outdoor Shelters and gazebos.